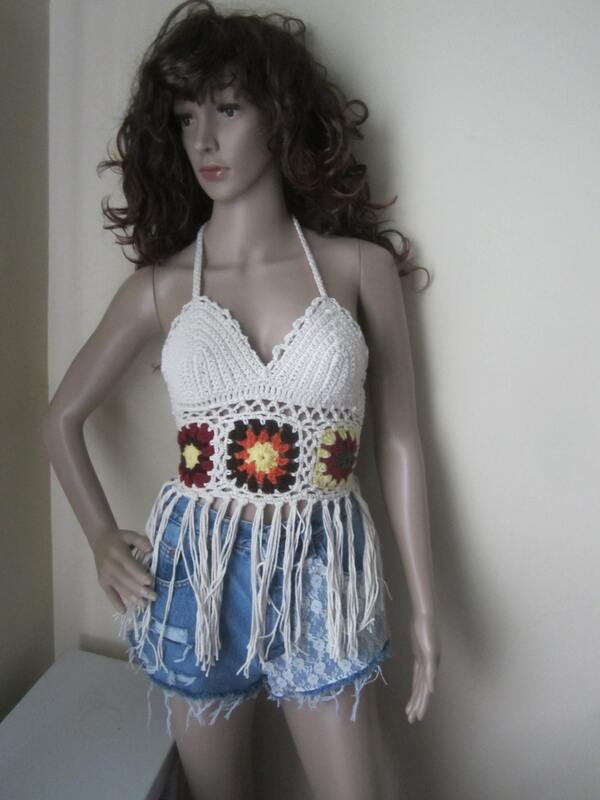 This is an off white crochet Fringe Halter top with motif and Fringe edging.Made using very high quality cotton yarn. 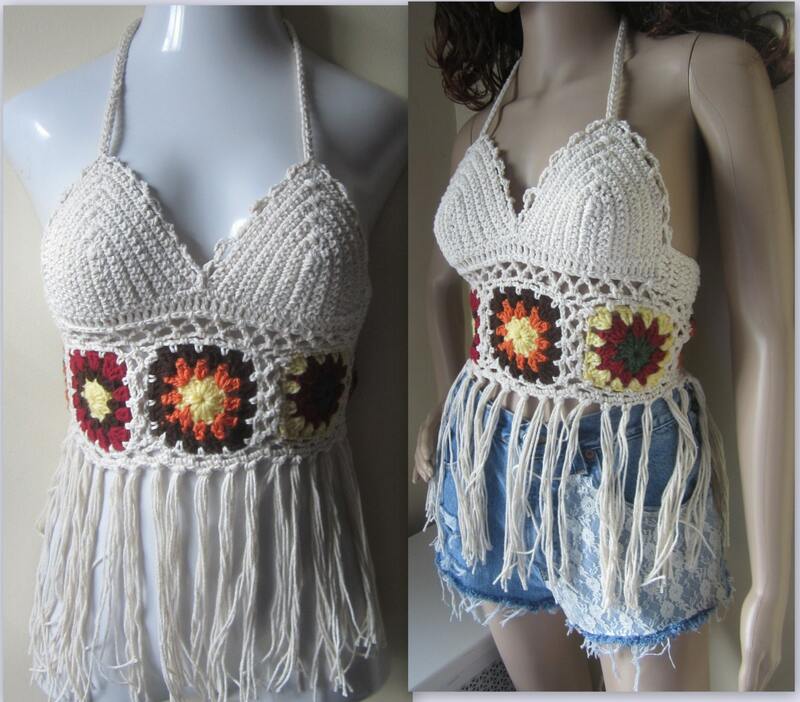 Its the perfect festival, summer and beach top. 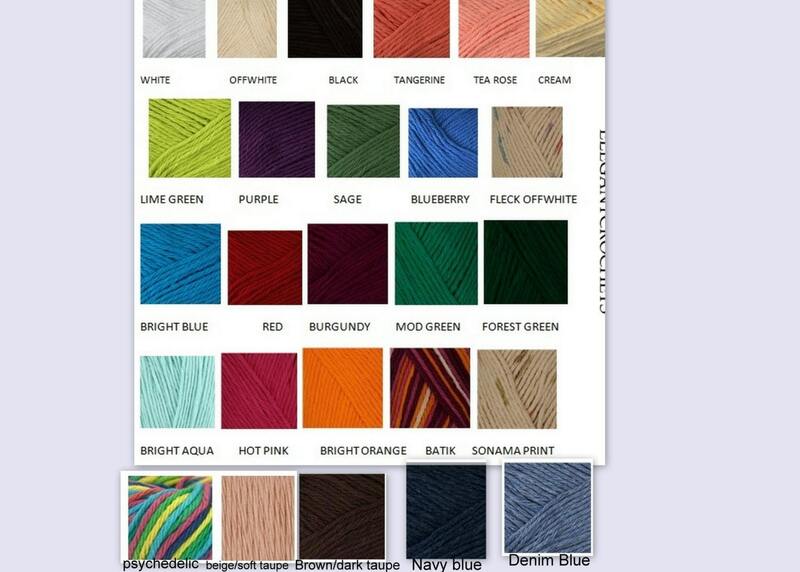 This top has it all, from the colorful motifs to sensual fringes and the lace up back. 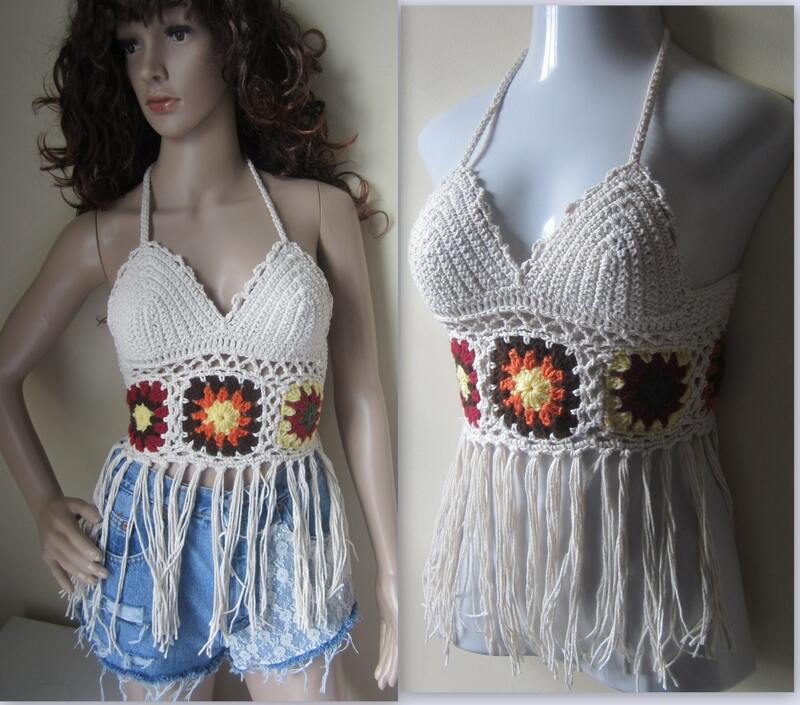 The bodice or bra part of the top is crocheted tightly for maximum coverage. care: machine washable gentle cycle and gentle detergent and dry flat BUT hand washing is the best way to take care.